"King of Pops" Micheal Jackson, popularly 'MJ' is no more. I still remember when i was a school kid, in DD Metro channel (some 3-4 hrs every week night) they used to telecast sponsered programs. One such program was between 8:30 and 9 called " the king of pops" about MJ. I would stop studying even if the next day we have an exam just to see him. I was a die hard fan of this awesome showman. His super smooothie moonwalk, the trademark pelvic thrust and the rotation followed by standing on the toes..MJ you're the best!! No matter the how many controversies surround him, he still and ever would be the ultimate "thriller" in pop music. MJ......MAY YOUR SOUL REST IN PEACE. 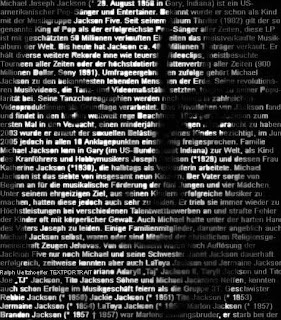 Who can ever forget the legendary Michael..
For a person like me who has been tightly encapsulated to the pop world due to the living legends like IR and ARR, I did not get an option to listen to his music, but after his death when ppl talk so much about him and his skills, I think I missed something big. Everyone says that MJ is a great human being, that is what is more clear in everyones tears. MJ will always live for ever like Elvis.